Lamps, luminaries, controls/dimming, and electricity form the basis of these chapters. 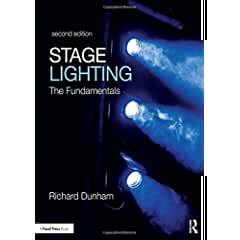 The book also provides a detailed explanation and overview of the lighting design process for the theatre and several other traditional forms of entertainment. Finally, the book explores a variety of additional areas where lighting designers can find related future employment, such as concert and corporate lighting, themed design, architectural and landscape lighting, and computer animation. - updated designer profiles along with the addition of still more designer profiles.